A waste of time, but if you have time to waste this is no worse than clipping your toe nails. The show, which is due to premiere on June 18, features fourteen strangers locked together in a glass house. Contestants must participate in challenges while utilizing social networking with viewers to form alliances and vote each other out. According to the New York Times, CBS is claiming that the concept of the show too closely resembles that of its reality hit Big Brother, which premiered in 2000. CBS are moving forward with legal proceedings for copyright infringement. Attorneys have released a cease-and-desist letter to ABC, which states: "In the strongest possible terms, we must admonish ABC and anyone involved in the development or production of Glass House that they will be acting at their own peril if they continue to proceed in this manner. "CBS is informed that Glass House is being produced by a team of at least 18 former members of CBS' Big Brother production staff - all of whom were privy to trade secrets and other confidential, proprietary information and signed broad and binding nondisclosure agreements in connection with Big Brother." CBS recently reached out to writer Steven Moffat in regards to developing an American remake of BBC drama Sherlock. Moffat declined, but a pilot called Elementary featuring a modern Sherlock Holmes has been filmed starring Lucy Liu and Johnny Lee Miller. 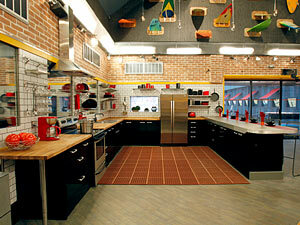 The new season of Big Brother premieres on July 12 on CBS.